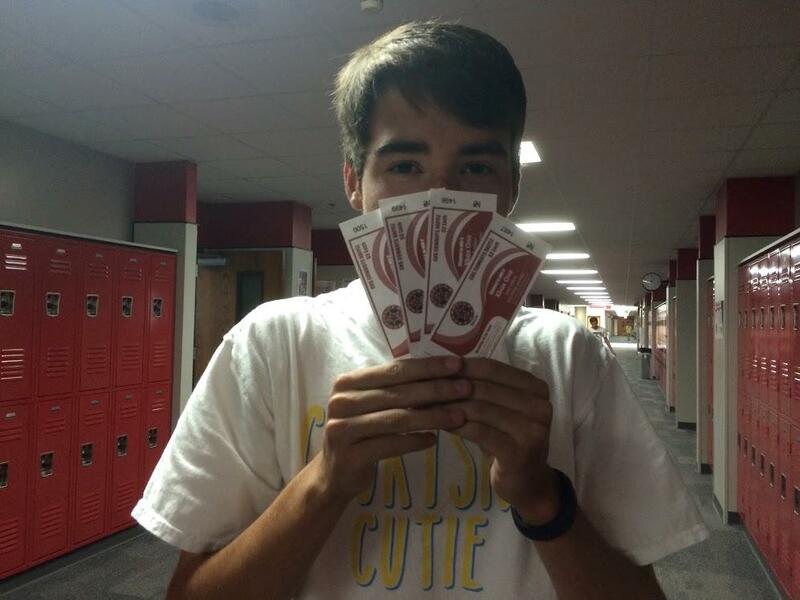 Varsity Soccer player, Jake Shumate with raffle tickets. Next Friday, before the Homecoming game against Richland, the Coppell Cowboys soccer team is hosting a tailgate. Tickets can be purchased from any Cowboys soccer player or at the tailgate.